What is a diabetic vitreous haemorrhage? The main chamber of the eyeball is called the vitreous cavity and this is normally filled with a clear jelly called vitreous. If bleeding into the vitreous occurs this is called a vitreous haemorrhage. Vitreous haemorrhage can occur as a consequence of being diabetic. How does vitreous haemorrhage affect the vision? If there is only a little bleeding patients experience haziness and some new floaters (wispy shadows like dark hairs or blobs which move around and are most noticeable against a bright background) but with more bleeding the blood can block the eyesight. If you think of your eye as being like a camera, light has to pass through the eye to the retina. The retina is like the film in the camera and lines the inside of the back of the eyeball. Therefore blood inside the eyeball can block the eyesight by getting in the way of the light passing through the eye (see pictures below). Why does vitreous haemorrhage occur in persons with diabetes? Diabetic patients can have problems in the eye as a result of abnormalities in the fine blood vessels that supply oxygen and nutrients to the retina. In diabetics these blood vessels can become closed reducing the oxygen supply to the retina. The retina tries to compensate by growing new blood vessels but these are abnormal and fragile and do not supply the retina with blood. They grow from the retina into the vitreous and can bleed particularly if the vitreous is pulling on them. The pictures below show the eyeball as if it has been cut in half and seen from the side. In the first picture of the normal eye the light passes through the clear cornea and then through the lens which focuses the light. The light then passes through the vitreous onto the retina. The retina sends a signal along the optic nerve to the brain. In this picture there has been bleeding from some abnormal blood vessels growing from the surface of the retina. How is diabetic vitreous haemorrhage managed? In some cases it is possible that you will be advised to wait for the blood to clear spontaneously. Laser treatment may then be performed to try to reduce the chance of further bleeding (see below). Alternatively a vitrectomy operation can be used to remove the vitreous – and with it most of the blood (see information sheet “Vitrectomy for diabetic vitreous haemorrhage”). If the vitreous is removed the chance of further bleeding may be reduced if the vitreous was pulling on the abnormal blood vessels. Injection of drugs into the eye such as bevacizumab, ranibizumab or microplasmin may in future play a role and some surgeons may discuss these treatment options with you. 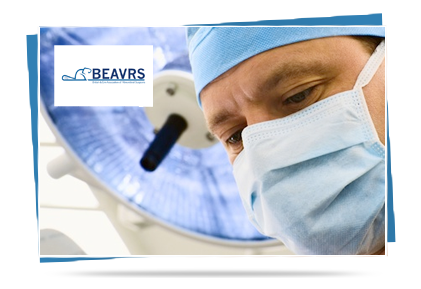 Retinal laser treatment may be advised if you have had a vitreous haemorrhage. If you have already had laser treatment to the retina further laser treatment may still be advised. The laser heats up and deliberately destroys some of the peripheral retina and this is thought to reduce the oxygen demands of the retina. This in turn reduces the drive for the new abnormal blood vessels to grow. This can even cause existing abnormal blood vessels to shrink. Laser treatment can affect the peripheral sight and this may be considered to be a necessary consequence of efforts to try to protect the central sight. What are the risks of laser treatment to the retina for new vessels? Laser treatment can occasionally affect the central sight if fluid gathers in the central retina. This may spontaneously improve but in some cases central sight is affected longterm. Another rare consequence is scarring in the central retina which can cause reduced sight or distortion. This may lead to reduced central sight longterm. However the risks of treatment must be weighed against the potential benefits. Laser treatment in patients with high risk features related to diabetes reduces the risk of severe visual loss in that eye from around 30% to around 15% in the 2 years after treatment. Laser can result in reduced peripheral field (or side vision) and reduced night vision. Sometimes this can stop patients driving because the DVLA standards require patients to have a certain amount of peripheral field. The licencing authority (DVLA in the United Kingdom) has visual standards that must be met for you to be allowed to drive. All diabetics taking tablets for diabetes or insulin should inform the DVLA and in many cases patients with diabetes will be allowed to continue driving. If you have any treatments to the retina again it is important to inform the DVLA to make sure that you still meet their requirements.